Asheville Retirement - GreyBeard Realty and Rentals . The most recent talk about the Obamas relocating to the area indicates a home already has been purchased, though again this hasn't been confirmed. Another point of discussion is whether the home would be a permanent home or a getaway vacation home. While some pundits favor a larger city like Chicago or New York for their permanent home, others point out the peace and solitude the whole family would find in the area. 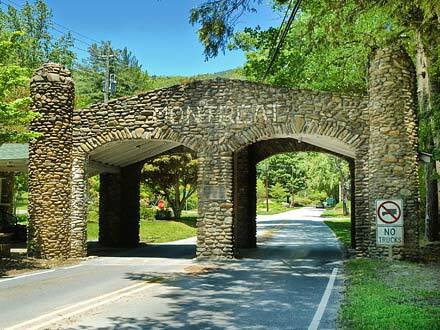 Drive through the old stone gate, and you enter into Montreat magic. Founded as a mountain retreat, thus "Mon-treat", more than a century ago, Montreat has a simple, peaceful quality of life. It does not have a traffic light or a McDonalds. Owning a Montreat mountain home means having access to multiple mountain trails, creeks and woodlands. Located in eastern Buncombe County, this secluded community features narrow winding roads that curve the contours of the mountainside. Pedestrians utilize neatly-kept paths that also follow the natural lay of the land. Roads and pathways converge at Lake Susan, home to the Montreat Conference Center and Montreat College. Greybeard Realty's Montreat listings include a range of properties from a small home nestled near the mountain top to undeveloped land in a prime location. Montreat, surrounded by the Blue Ridge Mountains, makes a wonderful retirement community and is an ideal vacation rental property location. And if you want to settle at the foot of Greybeard Mountain and raise your children, you can take advantage of the strength of the Buncombe County education system for schools. Buying a home in Asheville requires understanding the area and appreciating the various communities that make up our real estate market. One great way to experience the Asheville area is to rent a home within one of the communities and venture out from there to explore what the area has to offer. 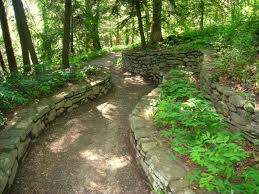 Follow your own path to an Asheville real estate purchase. At Greybeard Rentals, we have listings for numerous rental cabins in western North Carolina, including Asheville and Black Mountain. In addition, you could opt for a rental cabin in the village of Cheshire or Laurel Ridge to see if one of these communities feels like the place for you. Our home-grown realty firm is comprised of agents and staff with North Carolina connections, and you can contact any of one of us to gain our perspective on the value that each community offers. Another way to get a flavor of the area is to explore Asheville dining options and to investigate Greybeard's Calendar of Events which will let you see what life in the greater Asheville area is all about. On Greybeard Rentals' blog, we strive to cover aspects of Asheville adventuring that may help you make a decision on where to settle in the area. Some recent posts include picnic spots and hikes as well as great craft spots to visit. Included, also, is the strong microbrewery market which can be a draw for some folks. Also, Greybeard's Guest Services Division offers many vacation packages, including an Asheville Outdoor Adventure Package, which lets you experience the outdoors of the town. If you aren't sure a one week stay will do they area justice, then consider a long-term rental cabin which will let you really settle in and explore. And if retirement is your ultimate goal, then rent a home and take advantage of one of the retirement workshops offered locally. 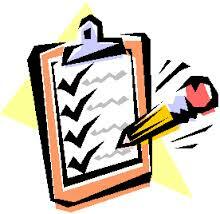 And we have numerous Asheville vacation rental cabins for sale if you want to buy now and settle later. Contact Greybeard now and come give Asheville a try. If you need one more reason to invest in Asheville real estate, a recent study may just provide you with that extra incentive. A recent study by a University of Vermont mathematician ranked US locales by using a happy meter, and Asheville landed in the top 10. Not only was Asheville in the top ten, but it was the only city east of the Mississippi to make the top 10. 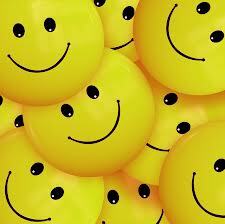 Study proves Asheville is happy place! By using a device called a "hedonmeter", analysts considered national tweets and noted the number of happy words used by residents of different areas. In fact, all they needed was to take a trip to Asheville, and they could have experienced the goodness of the town firsthand. 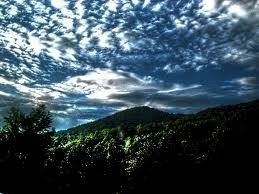 In fact, the recent study was only the latest recognition of Asheville as a great place to live. Even President Obama got into the conversation recently when he noted he and Michelle would like to consider living here after the White House. One option to discover Asheville's charms firsthand is to take advantage of one of Greybeard Rentals' long term rentals which lets you sample retirement before you settle in. If you want, you can look into Asheville vacation homes and invest now for your future retirement. If you're thinking about moving here while still raising children, you will want to check out our school report blog. Is Obama Thinking About An Asheville Retirement? During his brief visit to Asheville last week, President Obama eluded to a possible retirement in Asheville. "Love coming to Asheville. Michelle and I always talk about how, after this whole presidency thing, we're looking for a little spot to play a little golf, do a little hiking, fishing, barbecue." 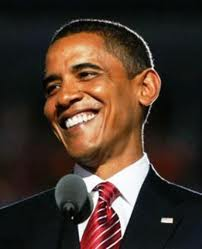 Obama may vote for an Asheville retirement. If you want to beat the President here, it may be a good time to head up this way and see what Asheville real estate has to offer. If you, like the President, still have some work to do before you can move here, consider purchasing one of Greybeard's vacation homes for sale. With these homes, you can find the perfect home for retirement and rent it until you're ready to retire. If you like the idea of Asheville but haven't had a chance to experience it first hand, check into one of Greybeard's rental cabins and see for yourself what Obama is talking about. Our Guest Services can set you up with tee times and our staff is always willing to share some of our favorite hiking and picnic spots for our rental guests. If you are familiar with the area but would like just a little bit more time to see if it's a good fit for your retirement plans, Greybeard's long term rentals can provide you with an extended stay to really let you try out an Asheville retirement. If you have any questions about whether retiring in Asheville NC is right for you, now is the time to look into it. If the Obama-to-Asheville rumors are true, you will be able to beat the rush. For more information about Asheville homes for sale or the best rental homes for trying out retirement, contact Greybeard Realty.